Nick from Charge and Surface just sent me an exclusive sneak peek of some preliminary shots of the forthcoming Surface clothing line. Included are images of their hoody, jersey, jacket, pants and all the color options. Above is their hoodie. 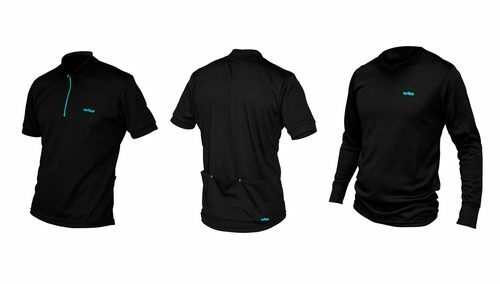 It’s made of a breathable, stretchy (in both directions), water resistant tough material they called “snugflex”, it is brushed on the inside like fleece. 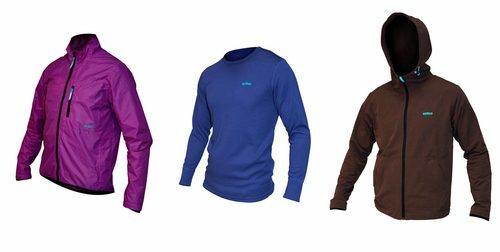 Lycra cuffs… Nice tight hood, brown or black and a price of £59.99. The windbreakers are water resistant, made of Pertex. Lycra internal cuffs. Packs down into small pocket. They’re available in purple, lime and black and will retail at £49.99. The jerseys come in short sleeve and long sleeve. They feature a pocket in the back and longer sleeves. Perfect on or off the bike. The “Hydrophobic” Wool Jacket is the most technical garment, taped seams, fully waterproof, storm flaps, lycra cuffs. But made to look fairly casual with no zip seals. Gray wool is the only color available and retails at £119.99. The pants are made from a water-resistant material and are quick drying with a slim cut. They retail at £54.99 and come in gray or black. The same material is being used in their shorts, which retail at £49.99. Surface’s clothes come in various colors. For more information, keep watch on Charge‘s site and follow them on Twitter!